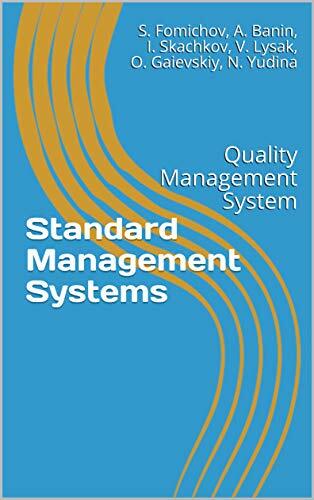 The book is aimed at providing readers with knowledge and understanding of the requirements of the ISO 9001:2015 standard and the ability to independently develop the organization's quality management systems. Practical focus is the main feature of the book. When writing the textbook, we have incorporated over 20 years of authors’ experience in developing, implementing and bringing to certification of ISO 9001, ISO 14001, ISO 45001 standard management systems. Particular attention is paid to the process approach implementation, including the definition of QMS processes, development of process models and process criteria. The book contains a lot of illustrations, tables, and diagrams that facilitates the comprehension. Control of externally provided processes, products and services. The processes of the quality management system are defined and described based on the real-life enterprise QMS implementation. Unified approach to building standard management systems (ISO 9001:2015, ISO 14001:2015, ISO 45001:2018). Main principles of management and their implementation in the organization's management system. Understanding and implementation of all ISO 9001:2015 requirements. OH&S Management System PDF preview Buy now!